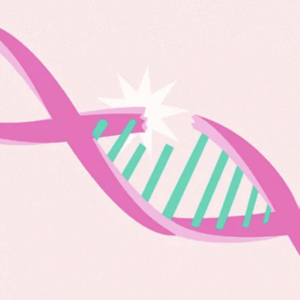 How do we persuade relatives of cancer patients to seek genetic testing? Of all the people who die from cancer each year, more than 30 percent of them could have avoided the disease had they done one thing: quit smoking. And that’s not just cancers of the lungs and throat. Seventeen cancers are strongly linked to cigarette smoking including kidney, cervix and colon cancers. That percentage increases state by state depending on smoking prevalence according to a study in the Journal of the American Medical Association. In Kentucky, for example, 34 percent of cancer deaths in men and 29 percent in women can be attributed to whether or not a person smoked cigarettes. In Utah, where smoking is a relatively rare habit, those numbers were 16 and 11 percent, respectively. 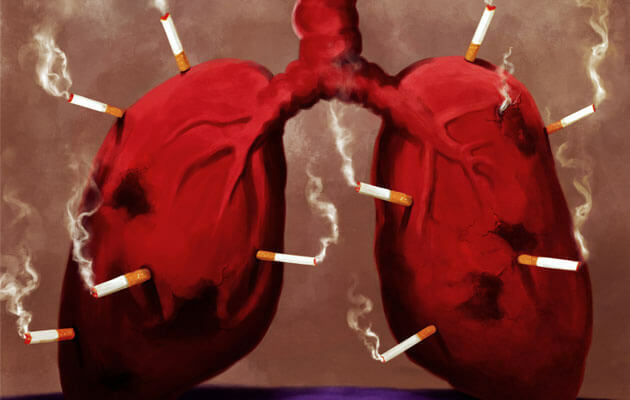 Even organs with no direct exposure to tobacco smoke appear to be affected. 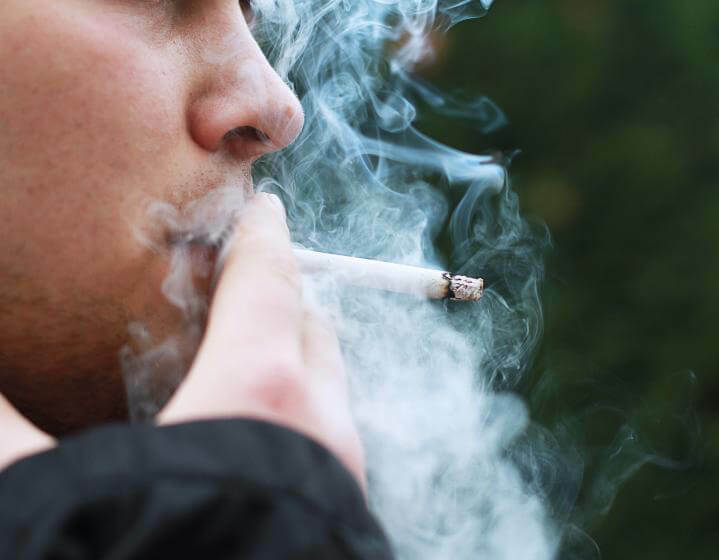 The researchers counted about 18 new mutations in every bladder cell and six new mutations in every liver cell for each “pack-year” that smokers smoked. Scientists have identified several patterns of DNA mutations that consistently show up in tissues of some cancers. These patterns, which may appear over and over again in a stretch of tumor DNA, can serve as a signature of the underlying mechanism that led to the mutations, offering clues to how different cancers strike… The cause of signature 5 remains unknown, but scientists do know that the number of signature 5 mutations is “clocklike” — it increases with age. The new analysis revealed that the signature 5 “clock” ticks faster in smokers. Depending how heavily a person smoked, the more signature 5 mutations were found. So the relationship between smoking and cancers far-removed from inhaled smoke might be an overall tax that smoking puts on our bodies’ ability to repair the genetic mutations that drive cancer. Age itself is one of the biggest risk factors for cancer. That’s likely because some DNA damage slips through the cracks of self-repair, which mounts with time. Smoking may increase the process by keeping those DNA self-repair channels overly busy or by disabling the repair processes themselves. Signature 5 was found in many, many non-smoker cancers, too. In non-smokers, the strength of the signal was related to the person’s age at which they were diagnosed with cancer. But not in smokers who were somewhere between 30 and 500 percent more likely to have them. In smokers signature 5 wasn’t related to a person’s age, just to their smoking status. Interestingly, the study didn’t find smoking drove any epigenetic changes—physical tags to the DNA and packaging that alter gene expression. The effects were most found within the actual genomes, rather than the methylation packaging of the genome. There were no statistically significant differences in methylation patterns between smoker’s and non-smoker’s cancers. Cancer researchers have often theorized that environmental exposures (such as smoking) may be able to drive epigenetic changes, which could change the behavior of certain cancer-causing genes without a change to the gene’s sequence (i.e. a mutation). This is how cigarette smoke is thought to cause detrimental effects on the developing fetus. A separate report in the [CDC’s] Morbidity and Mortality Weekly Report shows how much progress has been made against cigarette smoking over the past decade. From 2005 to 2015, smoking among adults declined from 20.9 percent, or 45.1 million people, to 15.1 percent, or 36.5 million. The overall rate fell 1.7 percentage points last year alone, resulting in the lowest prevalence since the CDC began collecting data in 1965. A version of this article previously appeared on the GLP on November 29, 2016.